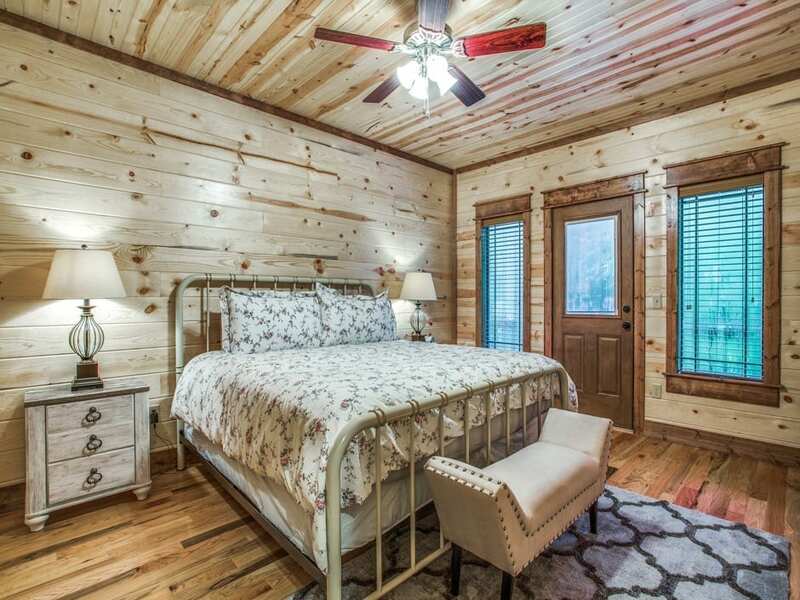 2 King suites upstairs with 48″ smart HDTV, private master baths, 1 with walk-in shower, 1 with walk-in shower for 2 & claw foot soaking tub. 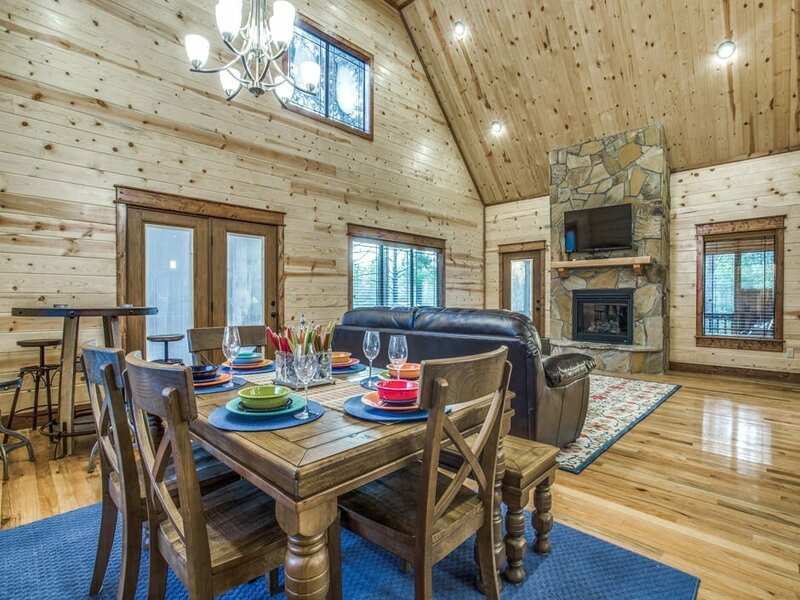 Skye Brooke Lodge is a 3-bedroom dander free, no pets allowed, luxury cabin that accommodates up to 8 guest. 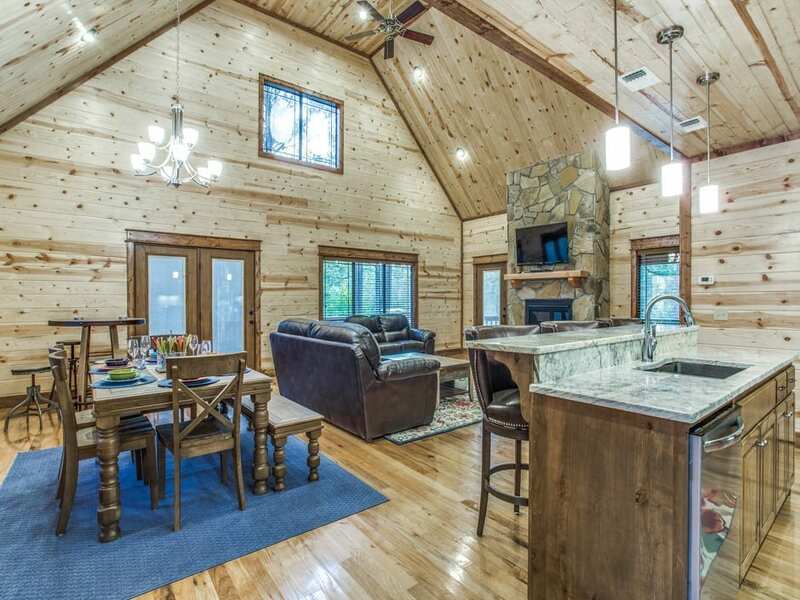 Welcoming porches wrap this log-veneered cabin giving satisfaction that you have arrived for a memorable get away to the Broken Bow area. When you enter into the foyer take note of the painted replica of the cabin hanging on the wall. Special touches await you in every room of the Skye Brooke Lodge. 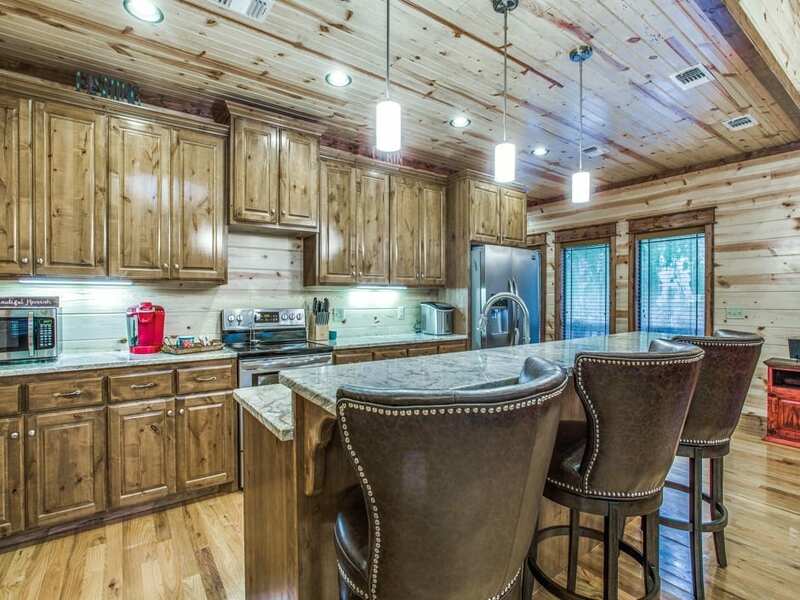 The openness of the kitchen, dining and living areas allow for large gathering of friends and family. 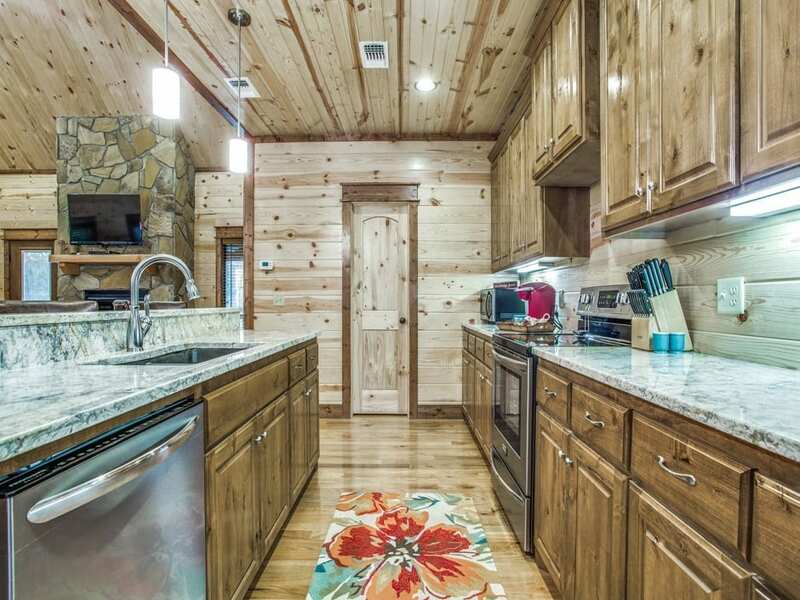 The kitchen has all the convenience needed to prepare meals with glass top stove/oven, microwave, and dishwasher. 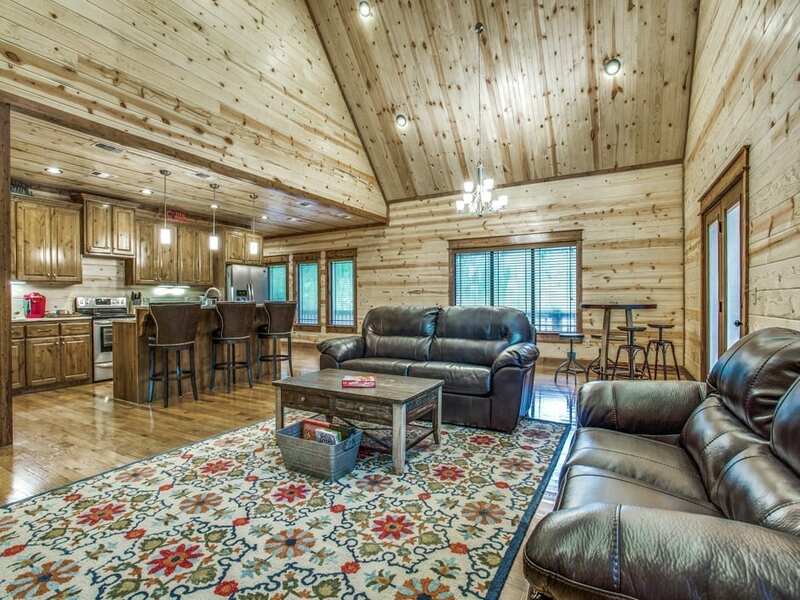 You can sit down to dine at the table with seating for six or eat at the bar with seating for three. In the living area a leather love seat and sofa, which converts to queen bed, provide seating for viewing the 52” HDTV with DirecTV package. 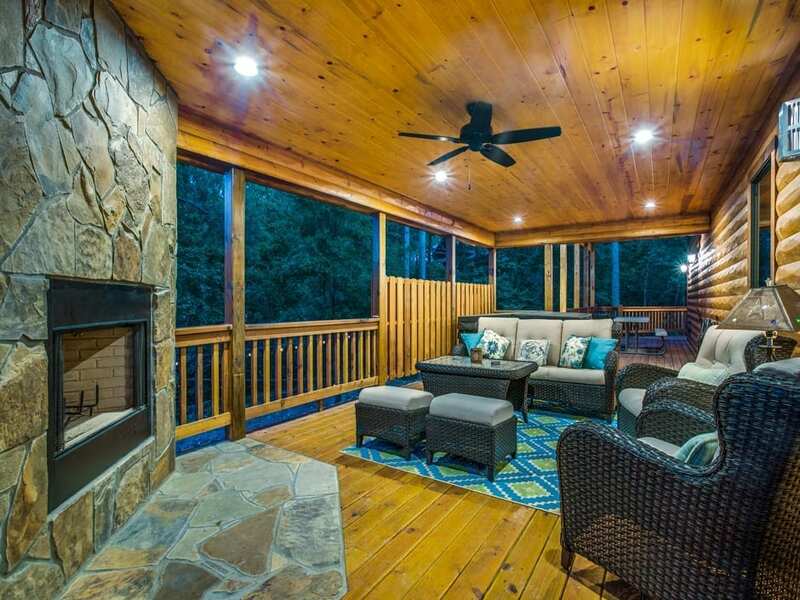 The large rock fireplace has a thermostat control for easy lighting. 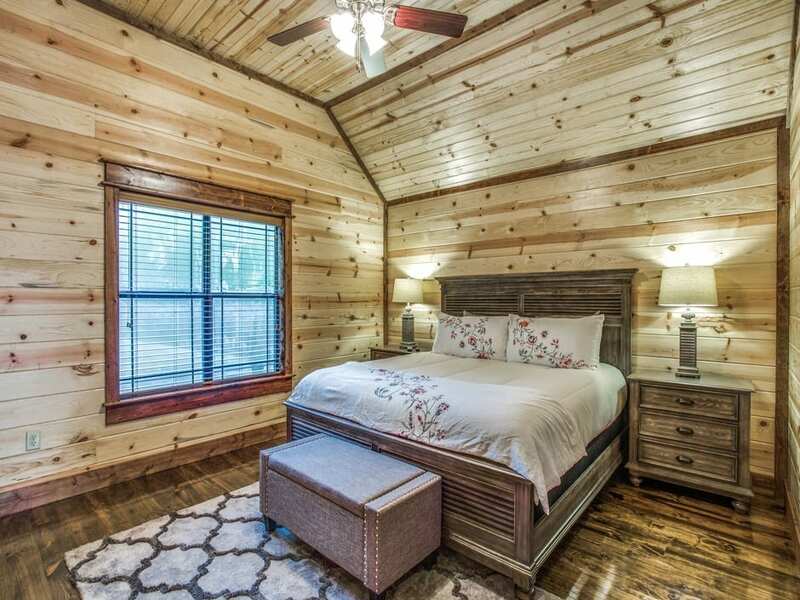 There is a master suite on the 1st floor that offers a king size bed, 48 “ HDTV and a private entrance to the outside porches. 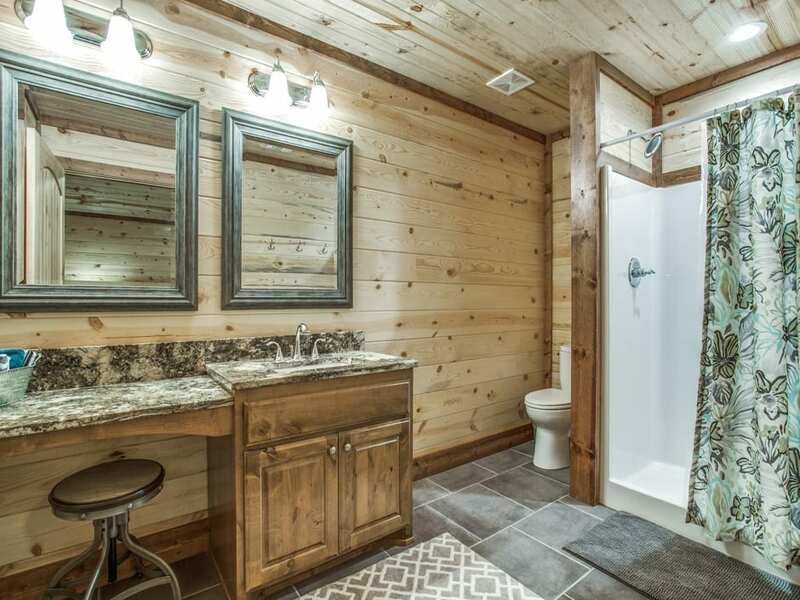 The attached bathroom has a corner spa tub, a separate walk–in shower, double vanity and plenty of room for getting ready for the day. 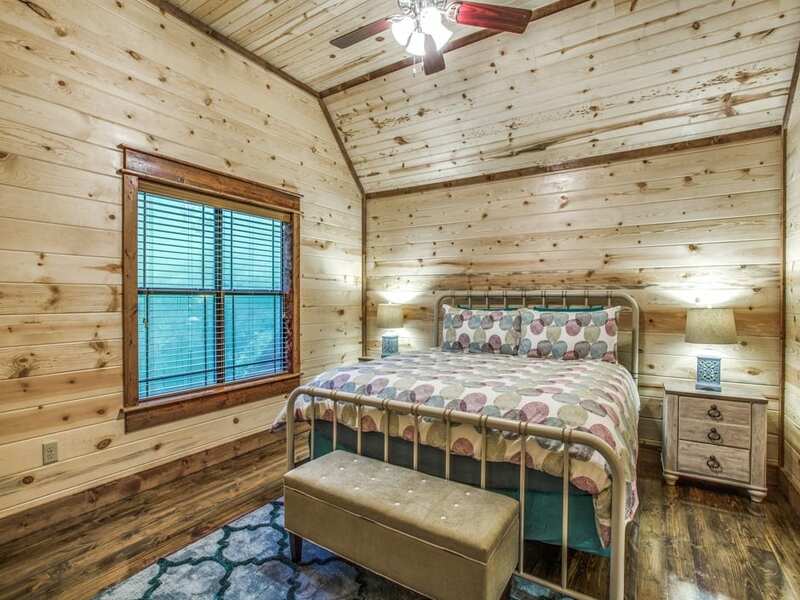 Upstairs are two master suites furnished with king size bed, and 42”HDTV. 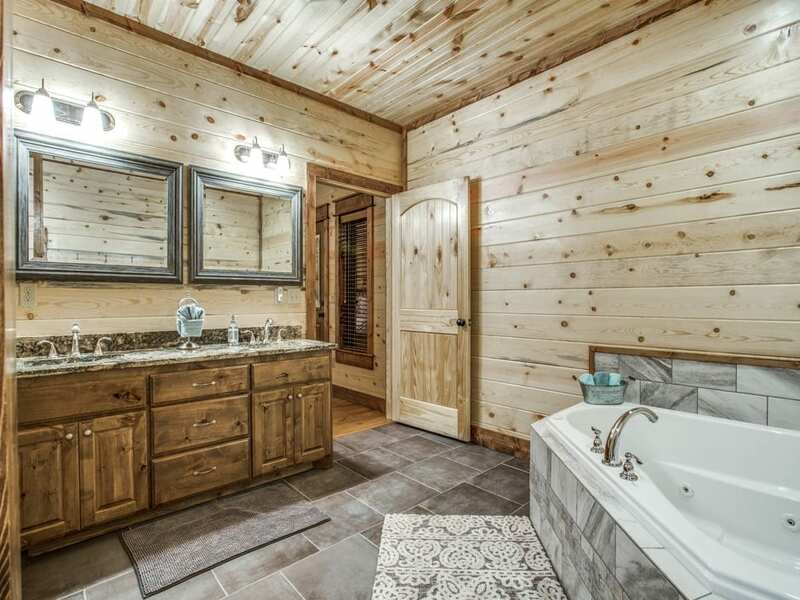 Each bedroom’s attached bath has walk-in shower, single vanity plus a make-up vanity and stool. 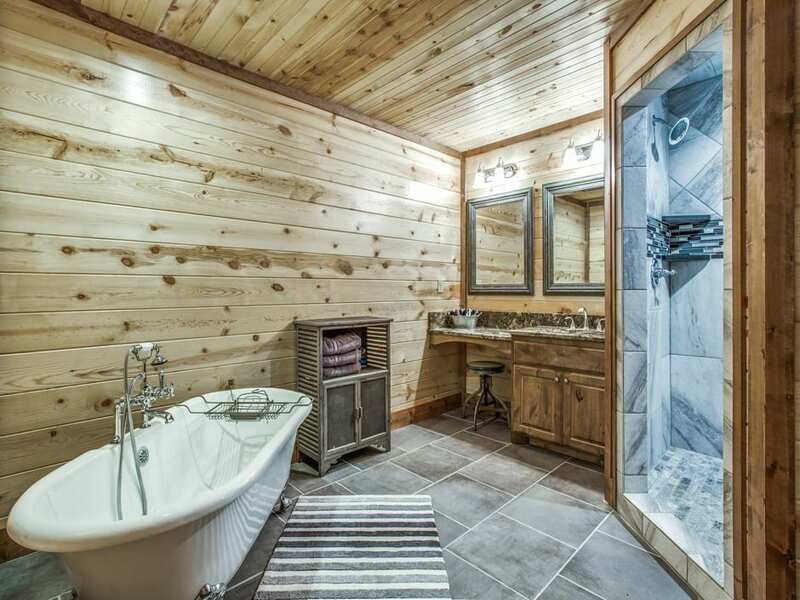 One of the bathrooms has a soaking tub. Off the upstairs hall there is a private walk out balcony with seating for two. 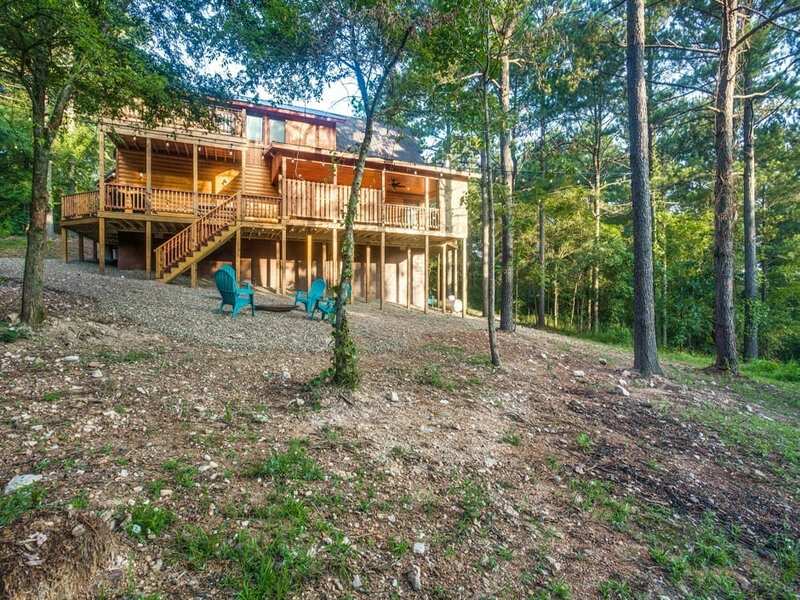 Exit onto the back porches through the living area. A corner fireplace that burns real wood offers warmth to the seating area. There is a 4-6-person hot tub that is drained and cleaned after each visit. 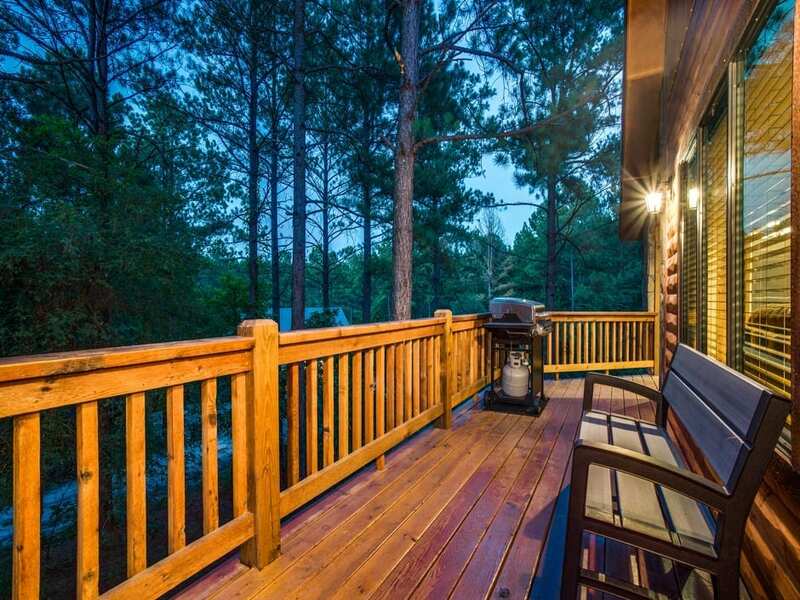 A propane grill and picnic table offer option for outside dining. 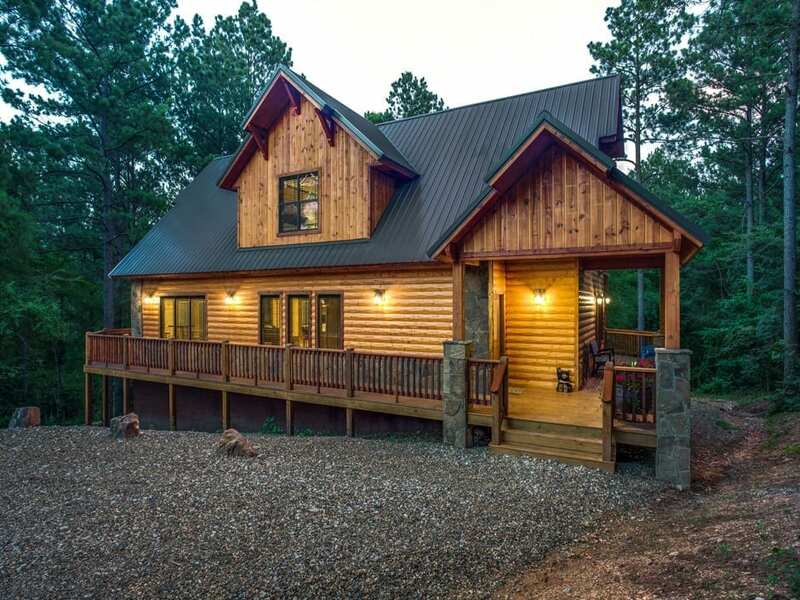 Going down the back staircase to the graveled yard you will find a fire pit and seating for roasting marshmallows and making memories around an open fire. 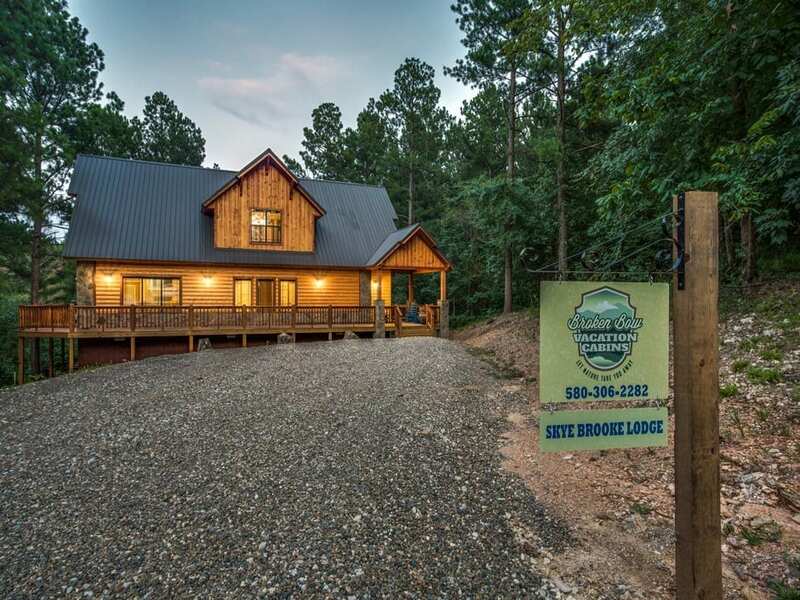 Skye Brooke cabin is located in Timber Creek Trails South just minutes away from the Timber Creek Trail Merchants, Restaurants and Gift Shops.